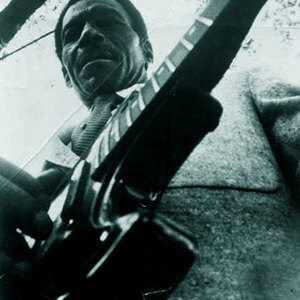 Specialising in Louisiana and swamp blues, Lightnin' Slim was born Otis Hicks in St. Louis, Missouri, and died of stomach cancer in Detroit, Michigan. Slim moved from Missouri to Baton Rouge, Louisiana at the age of thirteen. Taught guitar by his older brother Layfield, Slim was playing bars in Baton Rouge by the late 1940s. He debuted on Jay Miller's Feature Records label in 1954 with ?Bad Luck? (?If it wasn't for bad luck, I wouldn't have no luck at all?). Slim moved from Missouri to Baton Rouge, Louisiana at the age of thirteen. Taught guitar by his older brother Layfield, Slim was playing bars in Baton Rouge by the late 1940s. He debuted on Jay Miller's Feature Records label in 1954 with ?Bad Luck? (?If it wasn't for bad luck, I wouldn't have no luck at all?). Slim then recorded for Excello Records for 12 years, starting in the mid 1950s. Slim often collaborated with his brother-in-law, Slim Harpo. He took time off from the blues for a period of time and ended up working in a steam laundry which resulted in him suffering from constantly having his hands exposed to high temperatures. He was a very well dressed and presentable man, would wear flash suits and had an excellent sense of humour. In the 1970s Slim performed on tours in Europe, both in the UK and at the Montreux Jazz Festival in Switzerland where he was often accompanied by Moses ?Whispering? Smith on harmonica.